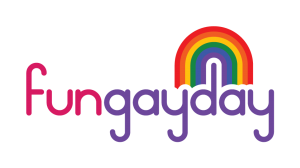 Late 2015 we did a survey to find out what the thoughts were about FunGayDay 2016. We had a total of 537 participants, of which 87% from the Netherlands, 6% from Belgium. Almost 80% was male, LGBTA* was 15%/73%/6%/1%/3%. One out of four also participated in GayDay@Efteling, in 2011. Conclusion: most people did not know about it, some could not join (time or distance), only a few did not like it. So: as expected, the largest group went with friends, many including partner. Only few people went alone or with children. Did you like GayDay@Efteling, 96% said YES, so that is encouraging. It is clear that the Efteling was a good choice. If it were not for the lack of co-operation we encountered from the management of the park (to put it mildly), it would have been great to go back again, with a bigger program. However, considering the way the park operates, it is highly unlikely that another GayDay@Efteling will be organized. In general, participants appreciated the idea of the day, the atmosphere and to be with so many members of the LGBTA* family – recognizable by the dresscode “something red”. Only 5 people had some negative experiences about the day. The winners are Walibi, Amsterdam, Duinrell and Artis – 36% of people do not have a preference. Over 20% of participants use the “Other” section for suggestions. These were rather diverse: Phantasialand (Germany) and Disneyland Paris were mentioned a number of times, but they already have (or had) a Gay Day. Efteling came up many times, but if you know the story above, you will understand that they are no longer an option. Also Bobbejaanland was suggested few times – for the rest the remarks were very general (beach, culture) or specific (river cruise from Amsterdam to Utrecht). When asked if people would like to attend FunGayDay 2016, 28% said YES, 69% MAYBE and only 3% NO. Promising! We will proceed to look at the outcome and the suggestions, and contact some attractions to see what their views are: we DO know that the co-operation of the park is an important condition to make it a FUN gay day.